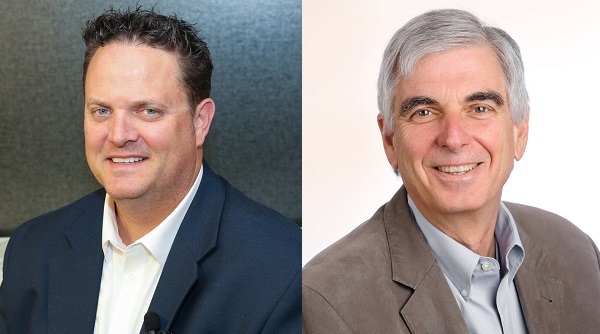 A guest post by Ken Kay, CEO, EdLeader21, and Aaron Spence, superintendent, Virginia Beach City Schools, Va.
Aaron Spence [left] and Ken Kay [right]. Okay, we’ll admit it: both of us were already working on our traditional “Back to School” blogs when it dawned on us that we should be doing something differently. Yes, we need to welcome folks back to school after summer vacation. But must we welcome our stakeholders back to “school” as it has always been understood? Could we make “Back to School” an opportunity to help students, teachers, parents and administrators chart a new course for the direction of our schools? Can we help our communities envision the future of our schools even as we head back into them this fall?